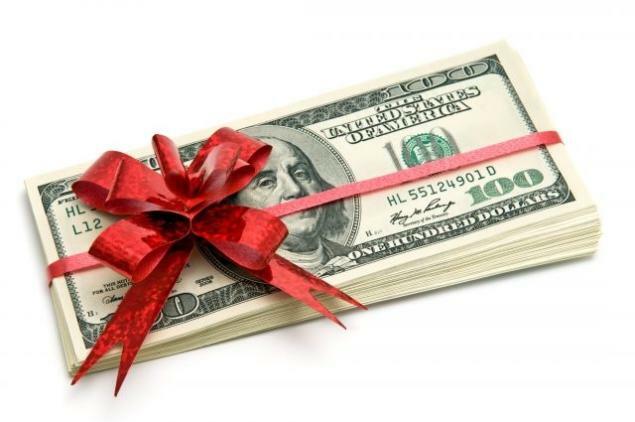 November through December 2015, Purchase a $100.00 NST Gift Card for only $75.00. 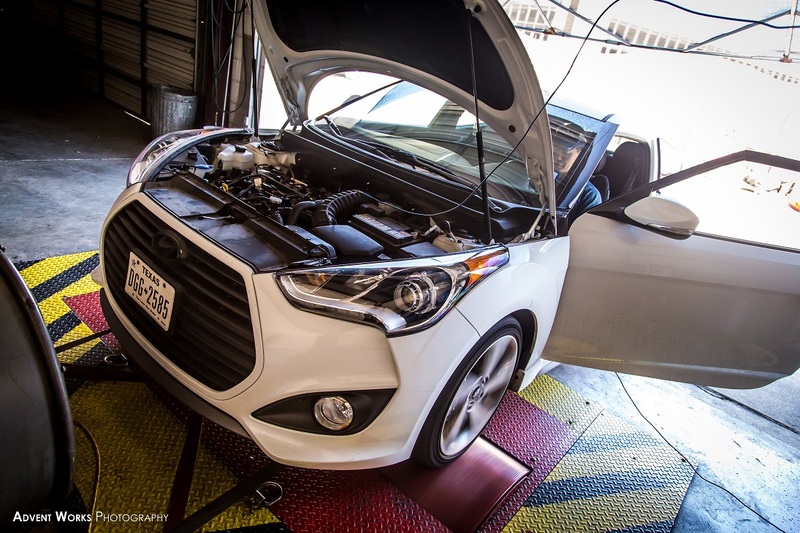 Comments Off on NonStopTuning Holiday Gift Cards! 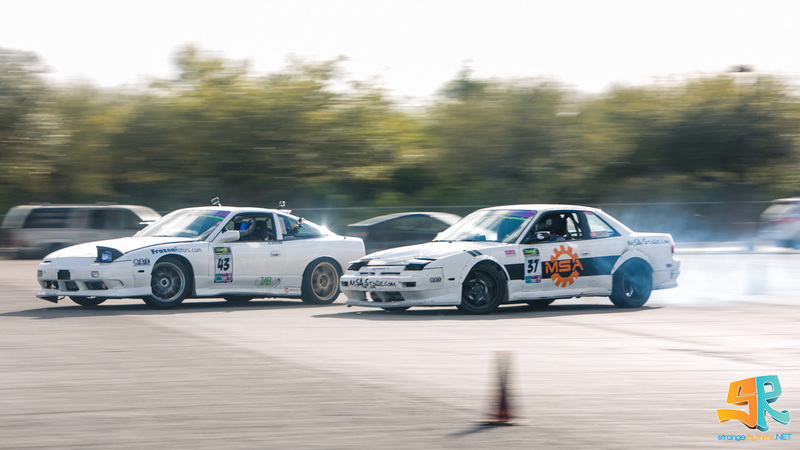 NonStopTuning is proud to announce its 2015 Drift Contingency Program. Drivers in series across the USA can run NST stickers, earn contingency cash during the season, and purchase NST products at a discount. 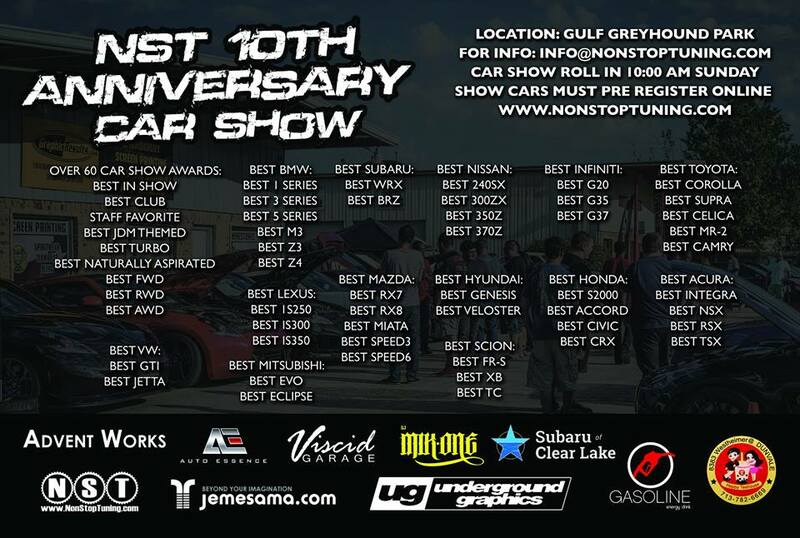 If interested, please email NonStopTuning and we will get back to you ASAP. Best of luck with all your projects! At the time of its debut, the Infiniti G35’s refined styling and sporty performance made a loud statement. Among other items, the G35 shared its VQ35DE engine with the 350Z, and was a legitimate performer on the street and track. 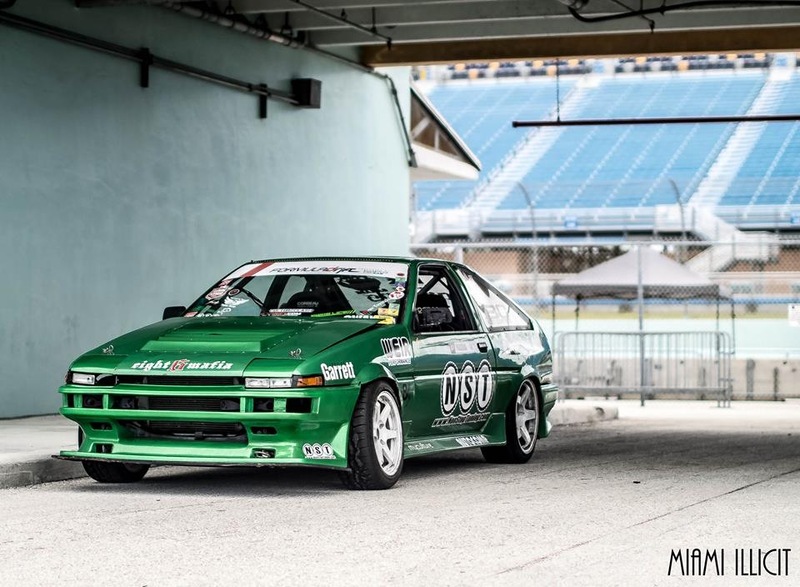 We recently had the opportunity to test the NonStopTuning Underdrive Pulley Kit on one of these cars and were pretty impressed by the results. 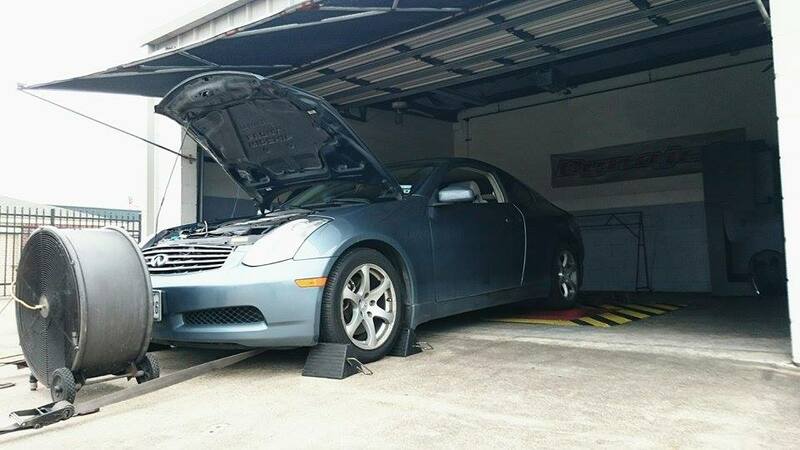 Jessica’s G35 came to us as a completely stock car and provided us with a perfect blank canvas for testing. 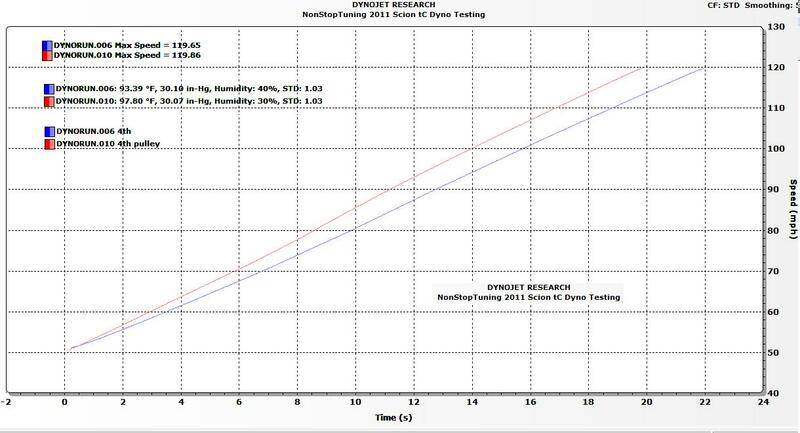 All before and after dynos were performed on the Carboy Racing Dynojet in Houston, Texas. Before and after dynos were performed on the same day, with pulley install in between, with NO other modifications of any kind. Dyno graphs and max values are listed, temps and humidity are also listed. All photos were taken during this testing session. 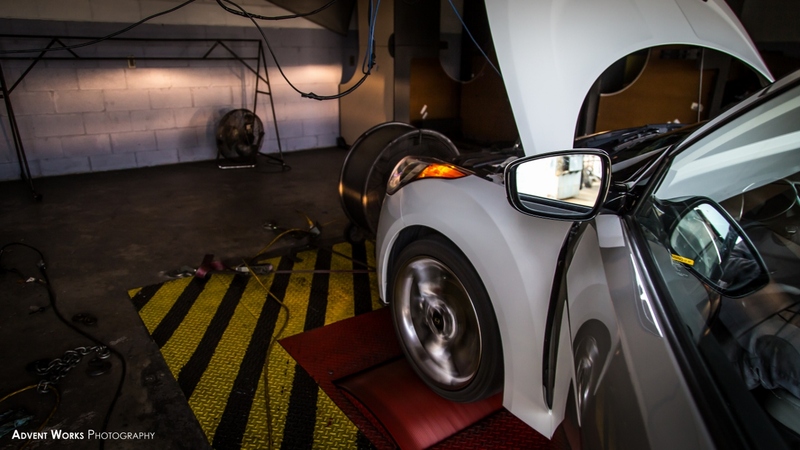 We had an opportunity to dyno test a NonStopTuning CR-Lite Crank Pulley with a naturally aspirated Hyundai Veloster NAV a couple weeks ago, and were very happy with the results. Click here for that post. 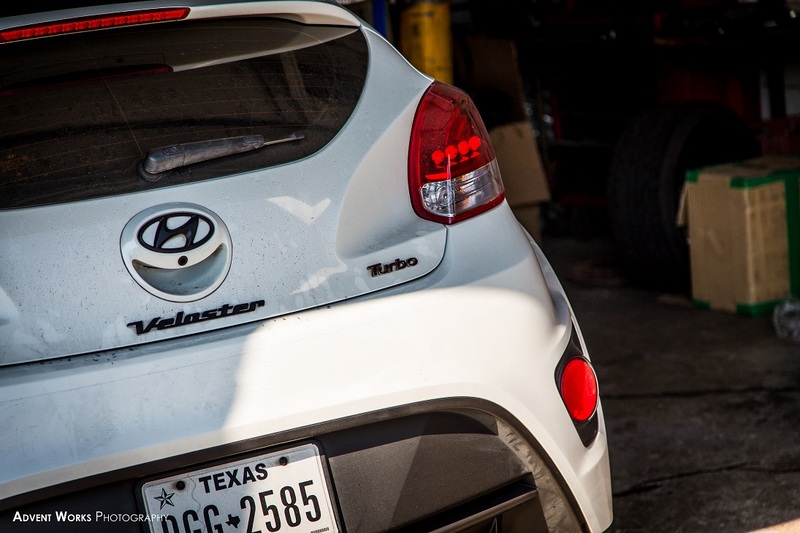 After the positive testing with the NAV, we were excited to test with a Veloster Turbo and had the chance to do so with Jay’s white Veloster. 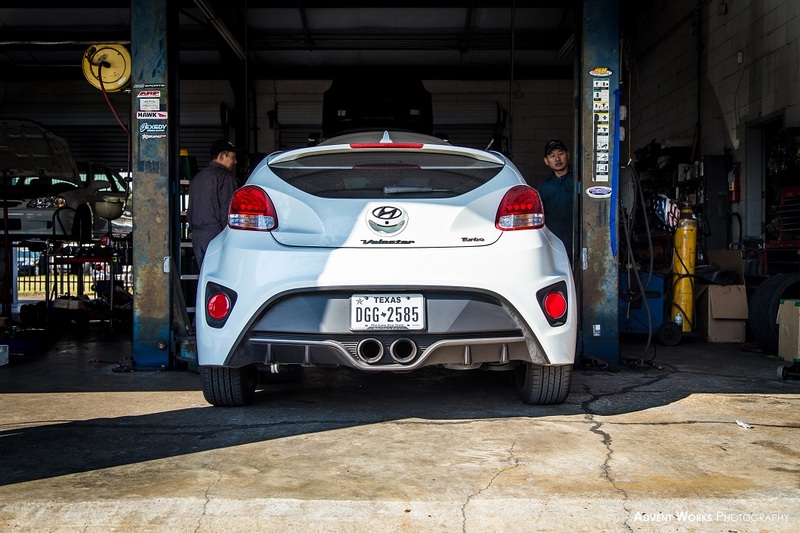 Much like the last Veloster we tested with, this one came to us as a bone-stock, un-modified, car… it even happened to be another white car, nicknamed 002! 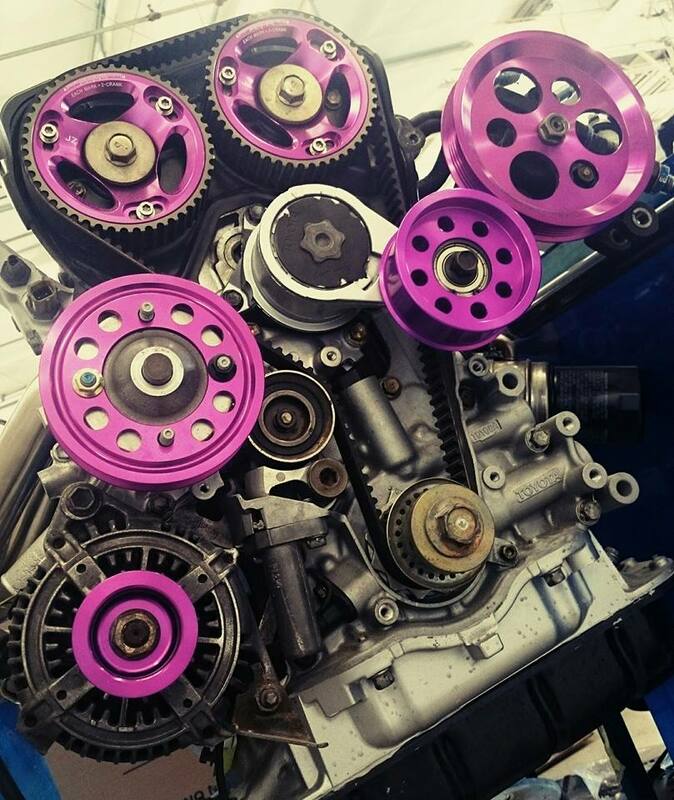 Using a car with NO other performance modifications gives us a blank canvas and makes it abundantly clear that the gains we see are associated with the NST Lightweight Crank Pulley. 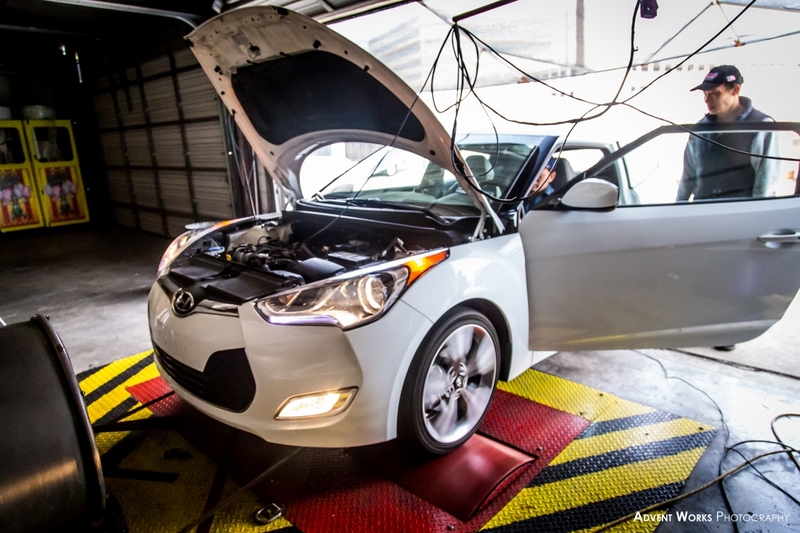 NonStopTuning recently had the opportunity to develop and dyno test a lightweight crank pulley for the Hyundai Veloster. Our friend Alex’s peppy 1.6 liter NAV came to us as an unmolested car. No performance mods of any kind meant that this NAV would be a perfect blank canvas for before and after comparisons. 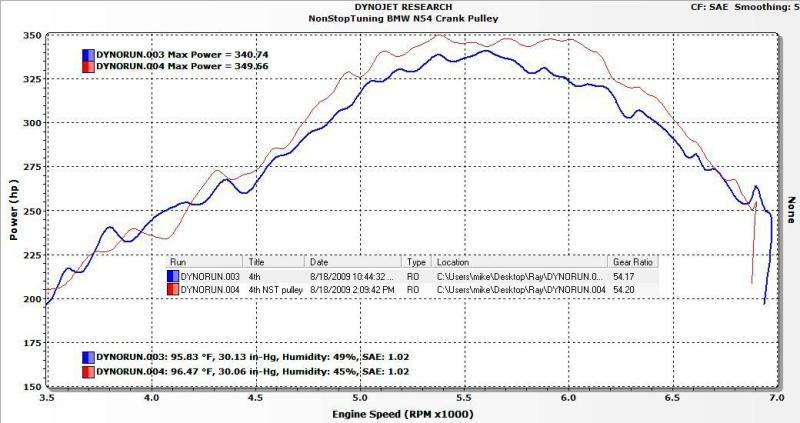 No performance modifications other than the NST CR-Lite Crank Pulley, same dyno, same day. The NST Lite series is a designation used for pulleys that are light-weight versions of their OEMcounterparts. All NST pulleys are built using High quality 6061-T6 aircraft aluminum and are easily 65% to 70% lighter than steel or cast iron OEM pulleys. 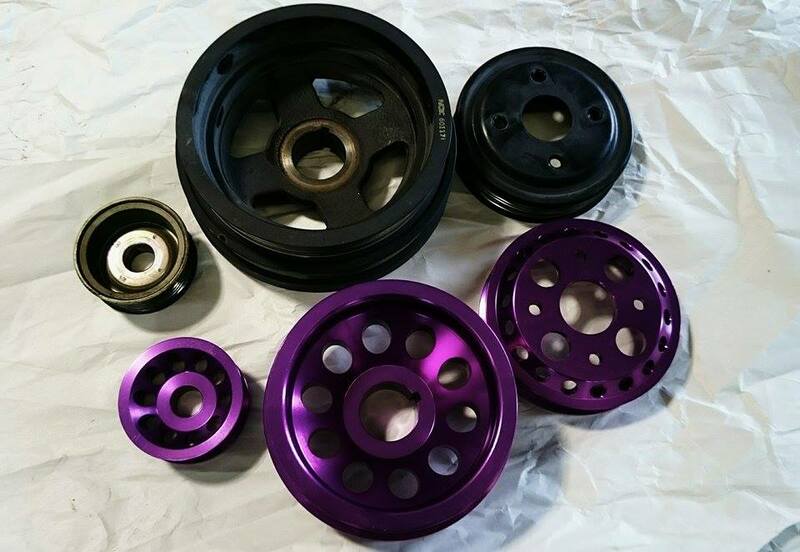 Every NST pulley is hard anodized for exceptional durability and is a great item for use at the track or on the street. 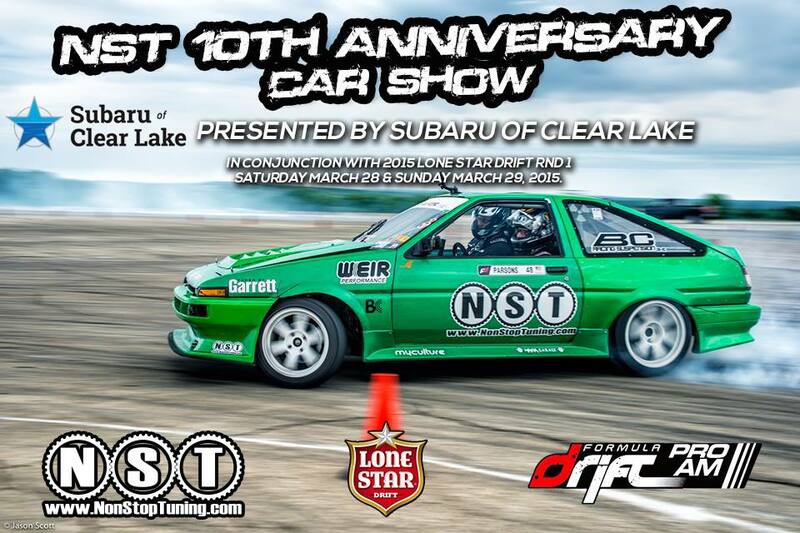 NonStopTuning would like to invite all our friends and fans to join us for the NST 10th Anniversary Car Show, March 28/29, 2015. 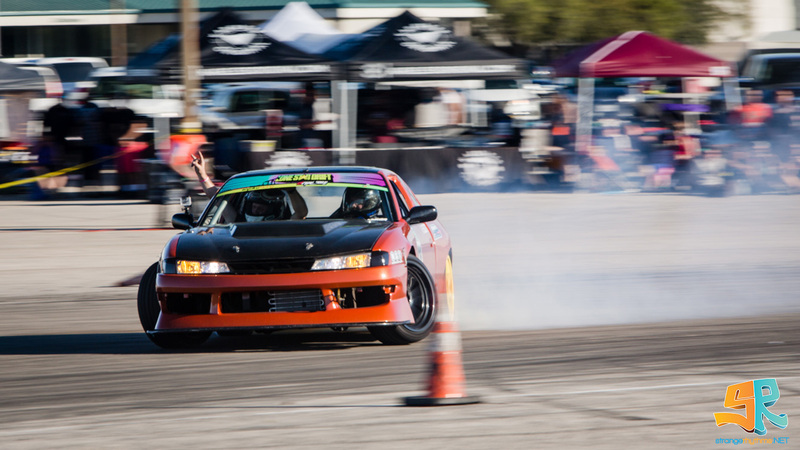 Bring your friends and family for two days of Lone Star Drift action, an NST Car Show with over 60 classes on Sunday, and a huge party Saturday night! 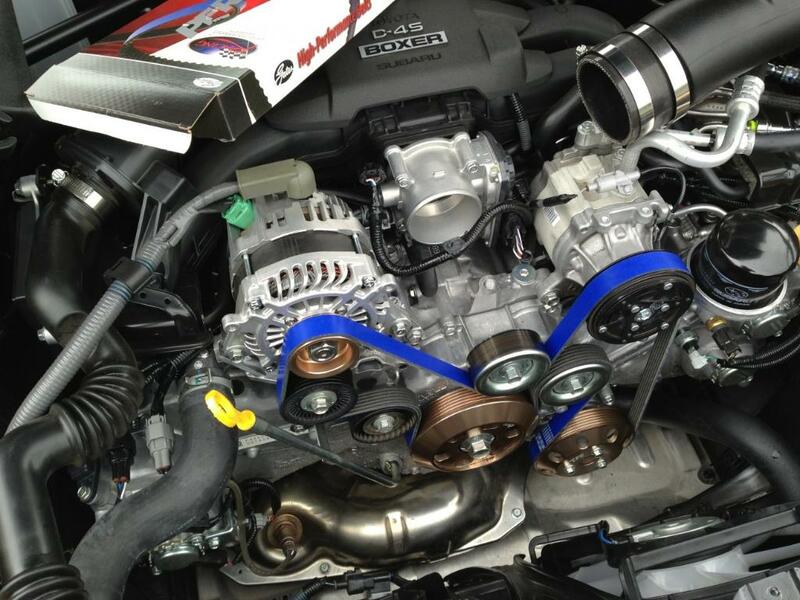 Gates BLUE Racing Belts are the perfect addition for Scion FRS and Subaru BRZ owners looking for the absolute best belt money can buy. You get more than just a cool color. You get high performance, leading edge technology that’s 300% stronger with three times the heat resistance of stock belts.